KUALA LUMPUR, Feb 29 — Tun Abdullah Ahmad Badawi is to defend his Kepala Batas federal seat as the Barisan Nasional (BN) looks to its veteran and capable lawmakers to keep Putrajaya from political foes Pakatan Rakyat (PR), sources said.The Malaysian Insider understands that the former prime minister has been approached to stand in the parliamentary constituency he first won in 1978 as the amiable leader is one of the “winnable candidates” sought by Umno president Datuk Seri Najib Razak. “Tun Abdullah has been asked to defend his seat as Umno and BN wants to go for a maximum win,” a coalition source told The Malaysian Insider. Abdullah, who was prime minister from 2003 to 2009, won the Kepalas Batas seat for the eighth time in 2008 with a majority of 11,246 votes, when he polled 23,445 against PAS’s Subri Mohd Arshad who garnered 12,199 votes. “Umno and BN are going through the lists to ensure they keep candidates who can win either at state or federal levels. Every seat counts,” added a BN source, saying veterans such as Sri Gading MP Datuk Mohamad Aziz and Tasek Gelugor MP Tan Sri Nor Mohamed Yakcop could also remain on the candidates list. Analysts and critics say Najib wants to ensure an all-out victory although it is difficult for the country’s sixth prime minister to match his predecessor’s performance in the 2004 and 2008 elections. Abdullah won 91 per cent of the 222-seat Dewan Rakyat in parliament in 2004 but lost the two-thirds majority when his coalition only took 140 federal seats and eight of the country’s 11 state assemblies in 2008. “Datuk Seri Najib Tun Razak is slated to win the next GE. However, victory is only the first of his KPIs. The second is that he must surpass his predecessor Abdullah Ahmad Badawi’s 2008 showing (140 seats). “Indeed, the rationale behind Najib’s rise to the premiership was his unspoken promise of returning Umno (and BN) to its earlier glory. Failure to achieve this will lead to a re-assessment of his leadership,” regional political analyst Karim Raslan wrote in his column in The Star newspaper yesterday. Najib and his deputy Tan Sri Muhyiddin Yassin have spent the past few months criss-crossing the country to gauge BN’s readiness for the general election, which must be called by middle of 2013. PR parties have said they will not call for snap polls in the four states they control until after this June. Analysts have predicted that BN will call for the election next month but the still unresolved issue of a civil service pay revamp could erode the ruling coalition’s support among the 1.4 million government servants. Najib had allocated more than RM2 billion for the revamp, including a two per cent hike in pension for 600,000 retirees in the 2012 Budget but most of the pay rise is going to senior officials. The prime minister has ordered a review, with a report due on April 16. BN is also seen to delay elections as it tries to overcome a scandal involving cattle-farming project National Feedlot Centre (NFC) where the family of Wanita Umno chief Datuk Seri Shahrizat Abdul Jalil have been accused of abusing a RM250 million soft loan for their own ventures. The Umno president and his coalition are also fighting off PR, which is championing a movement to stop an Australian rare earths refinery from operating in Kuantan, the state capital of Pahang — Najib’s home state and also the site of his Pekan federal seat. The authorities and miner Lynas Corp maintain the plant is safe but residents are concerned about the wastes disposal as Australia has refused to take back remnants of the ore mined from that country. “The decision was made as Khairy is good with the youths but has no official post except as Umno Youth chief. He needs a government post to reinforce his position ahead of the polls,” a government source told The Malaysian Insider, indicating the first-term Rembau MP is expected to defend his federal seat. “Khairy deserves a higher post but it is not possible yet. So, this is the best that can be done for him to be on a stronger footing,” said another source, confirming the Umno leader’s appointment to PUNB. Putrajaya routinely appoints MPs to lead government agencies, which are seen as a training ground for their eventual appointment to the Cabinet. 1. Has PM ‘Flip-Flop’ Tun Abdullah Ahmad Badawi been an active and effective MP after his departure as the fifth prime minister? 2. What is PM ‘Flip-Flop’ Tun Abdullah Ahmad Badawi’s positive political contribution since BN’s unprecedented disgrace lost of 2/3 majority in Parliament on 8 March 2008? 3. What role has PM ‘Flip-Flop’ Tun Abdullah Ahmad Badawi played since his departure on 28 March 2009? 4. What role could PM ‘Flip-Flop’ Tun Abdullah Ahmad Badawi play if he still continues as active BN politician? The fact is that, no love is lost when PM ‘Flip-Flop’ Tun Abdullah Ahmad Badawi was finally ‘shown the door’ during the UMNO General Assembly 26-28 March 2009. Whenever he came back for any of UMNO’s General Assembly, he was clearly a non event item. His opinion was hardly sought for public consumption and debate, after whenever there is a major issue or statement highlighted in any of the UMNO or BN assemblies, or major Federal Government announcement. PM ‘Flip-Flop’ Tun Abdullah has no following. His total exit from BN’s mainstream active politics had not been missed, let alone be a point of positive referral. So, why should there be any good reason to retain PM ‘Flip-Flop’ Tun Abdullah, even as a Senator after this parliamentary term ends in April 2013? On 8 March 2008, not only as a BN Chairman he lost 5 + 1 states in a general elections, he also lost his own home state to the Oppositions. This is a failure record never reached by any other previous BN Chairman or four prime ministers before him. The matter of fact, BN had yet manage to recover some of these ‘Political Tsunami’ losses. Many observers have the firm believe that damage done during PM ‘Flip-Flop’ Tun Abdullah is irrecoverable. It is clear what Jahabar Sadiq and MI still consistently trying to do. And Malaysians would never be fooled for this sordid attempt. There was never a crystal ball in the corporate scene. Neither could anyone could precisely predict where one would be placed. Especially when Federal Government calls the shot for all GLCs related matter and they are some who many deemed to be ‘politically incorrect’, eventually are slotted into certain political appointee positions. Market talk is centred around the appointment Rembau MP YB Tuan Haji Khairy Jamaluddin to be the Chairman of Perbadanan Usahawan Nasional Bhd. (PUNB). chairman of the Perbadanan Usahawan Nasional Bhd (PUNB), an entity entrusted to develop Bumiputera entrepreneurs in strategic and high potential businesses. Although it is not immediately known when the Rembau Member of arliament will begin his tenure at PUNB, a source told Business Times it is expected to be soon. Khairy is expected to take over from Tan Sri Mohd Abu Bakar Mohd Noor who has held the position since 1998. A source at PUNB could not confirm the appointment, only saying that there was no such news so far. PUNB provides a range of loans for prospective Bumiputera businessmen under various schemes such as Pemborong Prosper, Prosper Runcit and Prosper Siswazah and also networking platforms for its borrowers. Established in July 1991 under the Malaysian Companies Act 1965, PUNB’s business operations are focussed on providing integrated entrepreneur development packages to assist Bumiputera entrepreneurs in retail andsmall and medium enterprise (SME) sectors. These development packages are designed to help Bumiputera entrepreneurs develop business acumen, maintain a profitable venture and shape their enterprise, par excellence. Business Times understands that Mohd Abu Bakar is well into his 80s. His previous posts include chairman of the Oriental Bank Bhd from 1997 to 1999 and chairman of the Board of Penerbangan Malaysia Bhd from 2002-2010. Mohd Abu Bakar is PUNB’s second chairman. It is unsure how long Khairy’s term will be as the job tenure is indefinite, said another source. This is expected to be Khairy’s first appointment to a government-related entity since winning a parliamentary seat at the general elections in 2008. Although the youth chief position often comes with a ministerial post, Khairy was not appointed to any government post after winning the parliamentary seat. Since then, there has been many rumours of Khairy’s appointment in various government-linked companies but nothing materialised. Khairy, who was in his constituency in Rembau yesterday, did not return calls to comment on this latest development. This is a surprised appointment for one time the Supremo of PM ‘Flip-Flop’ Tun Abdullah Ahmad Badawi’s much talked about ‘Level Four Boys’. Since his controversial win for the UMNO Youth top post on 25 March 2009 (which is an UMNO Vice President stature), the former Deputy Chief of Staff in the Prime Minister’s Office for 20 months and one time dubbed “The Most Powerful 28 Year Old” by a leading English daily was never appointed to any Cabinet post since Prime Minister Dato’ Seri Mohd. Najib Tun Razak formed his first Cabinet on 9 April 2009. Neither did he ever had any appointment to any commission, GLC board or state funded foundation. Never the less, we at BigDogDotCom welcome this appointment for Khairy or fondly known as “KJ”. He is a face for educated and urbanite Malay where so many young people has started to associate themselves with. His BN Youth Fair program is very well received. So is his open-policy to engage and discourse, in many different forums. Khairy’s wealth of experience as an investment banker, a right hand man in corridors of power and entrepreneur should be a breadth of fresh air into the entrepreneurial development corporation, which was incepted by Fourth Prime Minister Tun Dr Mahathir Mohamad to develop retail and entrepreneurial Bumiputra community. For a change, he could learn a thing or two from Deputy MITI Minister Dato’ Mukhriz Mahathir who is also in-charge of all Federal Government programs for Malay entrepreneurial development. Or, probably he could instead share his thoughts on ways of getting things done. If this report is true, then we would like to wish KJ the best of luck. A new day shall rise shortly within the hour. For KJ, with this news he is the man-of-the-hour. God fated everything. However, it’s up to us to do what efforts we can to make things better. One of my former classmate will undergo a very risky brain surgery later today. She, unknowingly, had a vessel ruptured in the brain. Ten days ago she complained of pain in her ear and saw an ENT surgeon. After careful investigations, results discovered this rupture which has now caused swelling in her brain. A Muar lass, she is now an expert of anti money laundering activities attached to an enforcement agency. She opted to join civil service instead of a promising career in banking after university. May God be with her and the surgery team. May God give strength to her immediate family in their most trying time. The neurosurgeons removed fluids in an egg-shape about the quarter the size of her brain this evening. Sidang media petang Rabu 22 Februari 2012 oleh Pengerusi Lembaga FELDA Tan Sri Isa Samad, merangkap Pengerusi FELDA Global Ventures (FGV) mengenai penyenaraian FELDA Global Ventures Holdings (FGVH) akan diteruskan walaupun terdapat beberapa halangan oleh Koperasi Permodalan FELDA (KPF). Sebuah entiti baru (SPV) akan digunakan bagi menjamin kepentingan 112,635 peneroka FELDA dalam gerak-kerja korporat yang gergasi ini. Oleh kerana terdapat anasir anasir dikalangan Lembaga Pengarah (BOD) dan Pengurusan KPF yang menimbulkan pelbagai halangan dan kesulitan untuk Perwakilan KPF meluluskan cadangan bagi FELDA Holdings Bhd (FHB) disuntik kedalam FGVH bagi mendapatkan pegangan 35% dari modal berbayar syarikat konglomerat gergasi baru itu, maka rancangan gerak-kerja yang telahpun mendapat kelulusan Suruhanjaya Sekuriti ini telah diketepikan. Secara amnya, ramai percaya Kerajaan Persekutuan telah mengkaji secara menyeluruh dan mendalam hasrat dan cadangan Perdana Menteri Dato’ Sri Mohd. Najib Tun Razak untuk menyenaraikan FGVH di Bursa Malaysia dan memberikan KPF sebagai pemegang saham terbesar dan kesan strategik kepada masyarakat peneroka FELDA. Ianya adalah cara bagaimana hasil berupa nilai-tambah dari perniagaan yang dijana dari aktiviti perladangan FELDA dapat disalurkan kepada 112,635 peneroka FELDA dan 108,000 warga-kerja dan keluarga FELDA, melalui KPF. KUALA LUMPUR 23 Feb. – Kerajaan tidak akan sewenang-wenangnya meluluskan penyenaraian Felda Global Ventures Holdings Bhd. (FGVH) seandainya nasib peneroka Felda tidak terjamin. Tun Dr. Mahathir Mohamed berkata, sudah tentu kerajaan sudah memastikan rizab pemilikan kepada peneroka tidak terjejas, sebaliknya penyenaraian itu bakal memberi jaminan dan mengambil kira kepentingan peneroka. Katanya, penyenaraian syarikat itu bertujuan meluaskan perniagaan dalam skala lebih besar dan ia memerlukan modal yang cukup banyak. ”Kalau hendak mengharapkan Felda sudah tentu tidak mampu, sebab itulah disenaraikan. ”Kalau ia sudah disenaraikan, tidak semestinya kepentingan mereka tidak terjamin, sudah tentu perkara itu diambil kira kerajaan,” katanya ketika ditemui selepas merasmikan Persatuan Pemilik-pemilik Kapal Sokongan Luar Pesisir (OSV Malaysia) di sini hari ini. Beliau berkata demikian selepas ditanya mengenai proses penyenaraian FGVH yang mendapat tentangan hebat. Kemuncak tentangan itu apabila Koperasi Permodalan Felda (KPF) menerima injuksi mahkamah bagi menghalang koperasi tersebut membuat keputusan berhubung penyenaraian FGVH, semalam. Tambahnya, dengan penyenaraian FGVH, syarikat itu berupaya meluaskan operasinya, sekali gus ia memberi manfaat dan faedah berterusan kepada para peneroka Felda. ”Penyenaraian ini bertujuan memastikan para peneroka Felda mendapat ganjaran wang dan dividen yang sama pada setiap tahun,” tambahnya. Cadangan asal penyenaraian FGVH ini akan melibatkan 350,000 ha tanah milik FELDA Plantations digabungkan dengan syarikat syarikat dibawah FGV dan FHB. Dijangkakan modal berbayar pada nilai par FGVH ialah RM 6 billion dan dijangkakan akan melonjak kepada RM 20-21 billion dalam jangkamasa terdekat pasca penyenaraian. Keuntungan sebelum cukai dan kepentingan minoriti dianggarkan berjumlah RM 1.8-2 billion. Kepentingan 112,635 orang peneroka FELDA dijamin melalui 35% pegangan KPF dalam FGVH, tanpa tanah tanah peneroka diambil bagi tujuan penyenaraian tersebut. Jumaat 17 Februari lepas, lapan orang ahli KPF telah memohon dari Mahkamah Tinggi Kuantan untuk injuksi sementara bagi menghalang Mesyuarat Khas Perwakilan (EGM) EPF yang dijadualkan pada 22 Februari. Dalam mesyuarat khas BOD KPF pada pagi 21 Feb, mereka telah mengeluarkan notis pembatalan EGM tersebut, tanpa mengarahkan peguam mewakili KPF benar benar cuba untuk menghujahkan kenapa injuksi interim itu perlu diketepikan, demi kepentingan majoriti ahli KPF. Pada 5 Januari, injuksi menghalang EGM untuk KPF meluluskan cadangan penyenaraian FGVH juga telah dikeluarkan. Nampaknya, beberapa personaliti utama KPF bersekongkol dengan Pembangkang seperti Presiden ANAK Mazlan Aliman, merangkap AJK Pusat PAS, dalam usaha mengelirukan dan memberikan dakyah untuk mengagalkan penyenaraian FGVH. Setelah program penyenaraian FGVH melibatkan KPF gagal dan Kerajaan Persekutuan masih lagi meneruskan program penyenaraian FGVH, melalui entiti lain, barulah majoriti Perwakilan KPF sedar bertapa ruginya mereka. Ini termasuk kenyataan yang dibuat Pembangkang seperti PAS dan PKR, walaupun selama ini mereka merupakan dalang utama menghasut masyarakat peneroka menolak cadangan ini. 1. Usaha mencari rezeki dan memakmurkan tanah sebagai sumber pendapatan yang halal adalah sebahagian daripada tuntutan agama Islam dan dikira sebagai salah satu daripada cabang ibadah. Di dalam lipatan sejarah Islam, banyak riwayat yang mencatitkan penglibatan nabi-nabi terdahulu di dalam aktiviti-aktiviti pertanian dan penternakan di samping melaksanakan tugasan utama mereka iaitu menyampaikan risalah dakwah kepada manusia agar mentauhidkan diri kepada Allah s.w.t. 2. Sebagaimana Nabi Muhammad s.a.w. dikenali sebagai penggembala kambing yang paling dipercayai ketika di usia remaja, Nabi turut menggalakkan aktiviti pertanian dijalankan oleh para sahabat sebagai sumber pendapatan utama. Setelah Nabi Muhammad s.a.w. tiba di Madinah, Baginda telah menganjurkan agar usaha pertanian dipertingkatkan di bumi Madinah yang pada ketika itu sememangnya sebuah lembah wadi yang subur. Malah kaum Muhajirin yang berhijrah bersama Baginda diaturkan supaya bekerjasama dengan kaum Ansar iaitu penduduk asal Madinah di dalam usaha-usaha pertanian. 3. Dalam konteks di Malaysia, inisiatif yang diambil oleh Almarhum Tun Abdul Razak dalam memperkenalkan skim tanah rancangan FELDA yang bertujuan memberi pemilikan tanah kepada rakyat sebagai sumber aktiviti ekonomi yang mampan amatlah dihargai. Dasar yang penuh berwawasan ini adalah amat signifikan dalam menjayakan agenda peningkatan tahap sosia-ekonomi rakyat di luar bandar, khususnya kepada golongan belia dan yang kurang berkemampuan. 4. Namun, tujuan asal penubuhan FELDA ini sedikit sebanyak mula terhakis dek peredaran zaman dan campurtangan politik yang menjejaskan hak dan masa depan peneroka dan generasi seterusnya. 5. Pihak Dewan Pemuda PAS Malaysia (Pemuda PAS) menyambut baik perintah injunksi interim oleh Mahkamah Tinggi Kuantan dan notis pembatalan Mesyuarat Agung Perwakilan Khas KPF yang dijadualkan berlangsung pada 22 Februari 2012, serta mengucapkan sekalung tahniah kepada Persatuan Anak Peneroka Felda Kebangsaan (ANAK) yang gigih menyedarkan rakyat dan peneroka akan kesan buruk natijah cadangan penyenaraian ini. iv. Tiada keperluan ekonomi untuk penyenaraian – Lazimnya, sesebuah entiti perniagaan akan disenaraikan sebagai langkah menambah modal untuk menampung keperluan perniagaan yang lebih besar. Dalam keadaan Felda Holdings dan KPF yang mencatatkan keuntungan hasil daripada perniagaan perladangan, adalah tidak ekonomikal untuk mereka dipaksa menampung risiko dan kerugian yang ditanggung oleh FGVH. 7. Pemuda PAS mengulangi komitmen untuk berganding-bahu dengan semua pihak khususnya ANAK serta rakan-rakan di dalam Pakatan Rakyat dan NGO-NGO untuk menggerakkan program penerangan dan kesedaran melalui penganjuran aktiviti santai bersama generasi belia FELDA yang telah dan akan kami laksanakan di peringkat Pemuda PAS Kawasan, antaranya siri jelajah Jom Ubah dan program ‘Orang Muda Geng Kita’. 8. Di samping program-program turun padang, Pemuda PAS berpendapat sudah tiba masanya pihak-pihak yang prihatin ini duduk semeja untuk mencari formula terbaik bagi membantah cadangan penyenaraian FGVH dengan mengemukakan cadangan balas (counter-offer) untuk dikemukakan kepada golongan peneroka sebagai pilihan untuk menolak cadangan yang dikemukakan oleh pihak kerajaan. vi. Amalan operasi lestari (sustainability) – Mengemaskini manual kerja di ladang kelapa sawit mengikut piawaian antarabangsa RSPO dan amalan terbaik yang digunapakai oleh pemain industri perladangan yang lain seperti Sime Darby, IOI dan KLK. 10. Sekali lagi kami Pemuda PAS tegaskan, jangan dikhianati tujuan asal penubuhan FELDA dan bersamalah kita membela hak peneroka FELDA. 1 ) Nasrudin Hassan adalah Ketua Pemuda PAS Malaysia. Beliau sendiri merupakan seorang anak peneroka yang membesar di rancangan FELDA Keratong, Pahang. Pembangkang terutama PAS begitu aktif, konsisten dan sistematik dengan dakyah dan pembohongan atas apa sahaja mengenai FELDA. Ini termasuk kenyataan mengenai ‘FELDA Bankrap’. Lidah rasmi PKR Suara KeAdilan telah pun disaman kerana pembohongan ini. Ini semua adalah sebahagian dari strategi ‘Politik Kebencian’ Pembangkang untuk menghilamgkan keyakinan, menimbulkan kemarahan dan rasa benci rakyat. Serangan khusus ditumpukan kepada masayarakat FELDA kerana ianya merangkumi 1.6 juta orang yang majoritinya Melayu didalam 54 kawasan Parlimen. Ini adalah sebahagian dari ‘Simpanan Tetap’ BN. PETALING JAYA, 23 Feb — PKR menegaskan keputusan Barisan Nasional (BN) untuk mengetepikan penyertaan Koperasi Permodalan Felda (KPF) daripada proses penyenaraian Felda Global Venture Berhad (FGVH) akan mengorbankan kepentingan kakitangan dan peneroka Felda seluruh negara.Pengarah Strategik parti komponen Pakatan Rakyat itu, Rafizi Ramli berkata hari ini cadangan Pengerusi KPF, Tan Sri Isa Samad untuk menubuhkan sebuah syarikat khas (SPV) bagi menggantikan KPF bagi tujuan penyenaraian akan mengambil alih fungsi KPF secara perlahan-lahan dan tindakan itu jelasnya, bertentangan dengan undang-undang dan mengkhianati peneroka serta kakitangan Felda. “Kerajaan BN memerlukan persetujuan KPF yang menguasai 51 peratus pegangan sahan Felda Holdings Berhad untuk memindahkan keseluruhan pegangan kepada FGVH. “Jika penyenaraian itu dilakukan tanpa penglibatan Felda Holding, nilai penyenaraian akan menjadi jauh lebih rendah iaitu sekitar RM3 bilion sahaja, bukannya RM21 bilion seperti dicanangkan kerajaan. Ini bermakna, keuntungan penyenaraian akan jauh berkurang dan dividen yang akan diperoleh peneroka adalah jauh lebih rendah. “Oleh itu, PKR melihat, durian runtuh yang dijanjikan kepada peneroka yang dianggarkan bernilai RM20,000 itu satu penipuan,” tegasnya. Tambah Rafizi, pihaknya juga akan meminta kerjasama daripada Suruhanjaya Sekuriti (SC) bagi menyiasat dan memastikan tidak berlaku sebarang suntikan aset Felda Holdings yang mencurigakan daripada SPV yang dicadangkan Isa Samad. “Felda Holdings adalah penyumbang terbesar keuntungan kumpulan Felda, bukan FGVH. Rancangan jahat BN adalah untuk memindahkan syarikat dan aktiviti perladangan Felda Holdings yang dimiliki peneroka dan kakitangan Felda kepada FGVH yang dimiliki kerajaan. Melalui cara ini, jelas Rafizi, kuasa dan suara peneroka akan berkurang, lebih-lebih lagi apabila kerajaan menjemput pelabur lain untuk membeli saham FGVH. “Anggaran PKR menunjukkan pegangan peneroka dan kakitangan Felda dalam aktiviti Felda Holdings akan berkurang kepada 42.7 peratus, – daripada 51 peratus pegangan majoriti akan menjadikan mereka pemegang saham minoriti selepas syarikat itu disenaraikan,” katanya dalam sidang media di ibu pejabat PKR di sini. Felda semalam mengumumkan akan membentuk SPV bagi mengambil alih pegangan majoriti FGVH selepas lapan peneroka menghalang KPF daripada menyuntik aset ke dalam syarikat itu melalui penawaran awam (IPO). Pengerusi Felda itu berkata, SPV itu akan memelihara kepentingan 112,000 peneroka, malah, beliau turut menyalahkan pembangkang kerana menghasut peneroka menentang penjualan 51 peratus pegangan saham di dalam Felda kepada FGVH. Bagi menyelesaikan perkara itu, Rafizi berkata, pihaknya sedia bersemuka dengan Isa Samad dan Timbalan Menteri di Jabatan Perdana Menteri, Datuk Ahmad Maslan bagi memberikan penjelasan berhubung perkara itu. “PKR bersedia membentangkan hujah-hujan dan analisa kenapa penyenaraian ini tidak baik demi kepentingan peneroka dan kakitangan Felda. “Kami ingin melontarkan jemputan debat, ataupun forum kepada mereka untuk membincangkan perkara ini supaya masyarakat Felda jelas akan maksud sebenar penyenaraian ini,” katanya lagi. Apabila program diteruskan kerana objektif yang baik untuk menjaga kepentingan strategik peneroka FELDA, wayang Pembangkang dengan rentak lain pun bermula. PKR sebelum ini bercadang akhir Mac ini untuk mengadakan kempen 100,000 ribu tandatangan dan himpunan di Dataran Merdeka untuk berarak bagi menyerahkan bantahan penyenaraian FGVH ini kepada Perdana Menteri. Dulu mereka riuh mendakwa penyenaraian FGVH akan memberikan defisit terkumpul berjumlah RM 1.9 billion. Kini mereka pula kunun kunun membuat kenyataan bahawa tanpa KPF, kepentingan masyarakat peneroka FELDA akan rugi. Cadangan debat ini ialah taktik biasa Pembangkang terutama PKR untuk meraih perhatian kerana mereka sebenarnya tiada idea asal dan bernas. Yang nyatanya, tiada yang produktif akan datang dari debat melainkan wayang-sarkas bagi Pembangkang, terutama PKR yang makin hari makin hilang keyakinan termasuk sokongan dari kalangan pemimpin dan ahli mereka sendiri. Apa yang menghairankan ialah antara penentangan yang dijana kepada masyarakat peneroka keatas cadangan penyenaraian FGVH ialah FGV merupakan syarikat yang gagal diuruskan dengan baik dan terdapat kerugian terkumpul, manakala FHB (51% milik KPF) pula merupakan perniagaan yang untung dan diuruskan lebih baik. Hakikatnya, pengurusan FHB merupakan mereka yang sama menguruskan FGV. Lembaga FELDA merupakan 49% pemegang saham FHB dan 100% pemegang saham FGV. Jelas dengan pengurusan yang dan pemegang saham yang sama, kedua kedua kumpulan syarikat perlu diuruskan dengan baik dan sistem urus tadbir yang sama, dengan objektif mendapatkan pulangan terbaik. Tidak mungkin mandat yang berbeza kepada pengurusan dua dua kumpulan syarikat tersebut. Difahamkan, ‘Plan B’ penyenaraian FGVH akan diteruskan melalui entiti khas dimana kepentingan 112,635 warga peneroka FELDA akan dijamin. Satu ‘Tabung Khas Peneroka’ dijangkakan akan diujudkan, sebagai ganti KPF yang asalnya dicadangkan sebagai pemegang saham terbesar dalam FGVH. Tabung ini dijangkakan akan menerima antara RM 4-5 billion nilai saham FGVH apabila ianya disenaraikan pasca Jun nanti. Kepentingan masyarakat peneroka FELDA akan disalurkan dalam pelbagai bentuk dan skima melalui tabung ini. Satu Lembaga Pemegang Amanah akan dilantik, untuk mengawal selia tabung ini. Penyenaraian FGVH kini tidak melibatkan semua syarikat kumpulan FHB sebagai anak syarikat tetapi syarikat bersekutu (associate companies) kerana pegangan 49% Lembaga FELDA dalam FHB akan disuntik kedalam FGVH. Entiti yang akan memberikan pulangan utama kepada FGVH ialah FELDA Plantations, dimana pulangan kasar sebelum cukai dan kepentingan minoriti dianggarkan sekitar RM 1.5-2 billion (pada harga kommoditi hari ini). Ini merupakan 70-80% dari keuntungan FGVH tahunan, yang diraih dari 350,000ha ladang. Apabila pelaburan FGV diluar negara seperti kilang kilang TRT di Amerika Utara, Eropah dan Turki mula beroperasi sepenuhnya dan matang, maka keuntungan lebih akan dilihat dalam ‘bakul’ FGVH bagi pemegang pemegang sahamnya. Produk nilai-tambah dan hiliran sedang dirancang bagi pasaran yang besar ini. Kepentingan masyarakat peneroka FELDA akan terus kukuh dan strategik, selepas penyenaraian FGVH melalui ‘Plan B’ ini. Difahamkan, FGV dengan merangka plan khusus dengan kerjasama Lembaga FELDA dan Jabatan Perdana Menteri bagi menjaga kepentingan warga-kerja FELDA apabila kepentingan mereka yang sepatutnya dijamin dalam FGVH melalui KPF telah gagal kerana rancangan asal KPF sebagai pemegang saham terbesar dalam FGVH tidak dapat dilaksanakan kerana pelbagai tentangan yang sistematik. Jelas, FELDA ujud 54 tahun lepas untuk memartabatkan kepentingan masyarakat luar bandar terutama orang Melayu dan amat berjaya dan berkesan. Ianya, objektif yang sama yang kini digerakkan dalam kesesuaian cabaran dinamism dunia global yang berpusat kepada perniagaan dan aktiviti kommersial bernilai tambah. Pelaburan dan gerak-kerja hari ini ialah sebenarnya strategik dan bertujuan untuk menentukan pulangan bukan sahaja progresif dan konsisten, malah terjamin bagi jangkamasa yang lama. FGVH direncana untuk menjadi pemain bertaraf global dalam industri berasaskan perladangan dan bahan bahan produk kelapa sawit yang bernilai tambah, untuk pasaran antarabangsa. Pengalaman episod cadangan penyenaraian FGVH melibatkan KPF ini wajar jadi pengajaran bagi semua pihak terutama masyarakat peneroka FELDA, agar jangan terpengaruh dengan Pembangkang dan mereka yang berkepentingan peribadi untuk menentang apa apa cadangan Kerajaan Persekutuan bagi warga FELDA. Jangan biarkan keadaan “Sudah terhantuk, baru tergadah”. Genap 62 tahun pagi ini, pekan sepi Bukit Kepong ditebing Sungai Muar menyaksikan peperangan yang amat dasyat dan berdarah. Bermula 0200hrs, 200 orang pengganas komunis bawah kepimpinan Mat Indera dan Goh Peng Tun telah menyerang balai polis tersebut. Ketumbukan komminis ini memang telah merancang untuk menyerang balai polis ini, sebagai tindakan untuk memberikan tekanan keganasan kepada penduduk utara Johor, tatkala tiupan angin nasionalism yang dibawa oleh UMNO mula menjadi nafas perjuangan orang orang Melayu seluruh Tanah Melayu. Johor merupakan tempat UMNO ditubuhkan dan Tuanku Sultan Johor merupakan antara Raja Raja Melayu yang memberi sokongan kepada pergerakan politik untuk orang Melayu ini. Ketumbukan kominis ini memang merancang dan bersedia penuh untuk melakukan serangan ini. Mereka menjangkakan anggota Polis dalam balai polis ini tidaklah mampu untyk menyaingi mereka dari segi jumlah kekuatan anggota dan persenjataan dan mereka akan menyerah kalah sejurus apabila serangan bermula. Namun, keperwiraan anggota polis tersebut untuk berjuang membukti mereka bertahan dengan apa yang ada sehingga peluru habis dan titisan darah terakhir. Akibatnya, seramai 19 orang anggota Polis, 5 orang keluarga mereka dan 3 orang lain di luar Balai Polis telah terkorban akibat serangan yang lebih 3 jam ini. Itu rekod, Parti Kominis Malaya tidak pernah mahu meletakan politik keganasan mereka ketepi walaupun pada 1955, rakyat Tanah Melayu telah membuktikan mandat secara demokratik telah diberikan kepada YTM Tunku Abdul Rahman Putra dan Parti Perikatan. Chin “Butcher of Malaya” Peng menolak mentah mentah tawaran untuk berdamai di Perundingan Baling. Hari ini keadaan telah berbeza. Dalam ketamakan merebut kuasa dari rakyat, Pembangkang tergamak untuk meniupkan ‘Politik Kebencian’ sebagai strategi politik. ‘Api kemarahan dan kebencian’ sedang disemarakan untuk memburukan pihak berkuasa termasuk Polis sebagai penguasa undang undang. Ini bertujuan dalam usaha mereka menengahkan politik mereka, Pembangkang boleh memecah belahkan rakyat dengan dakyah perkauman dan anarki dan apabila tindakan diambil, mereka akan memaparkan agar pihak brkuasa mengamalkan ‘kuku besi’ dan ‘fasis’. GEORGE TOWN: The Butterworth Sessions Court can hear the trial of PAS deputy president Mohamad Sabu, who is charged with defaming policemen and their families in the 1950 Bukit Kepong incident, ruled a High Court here. Judicial Commissioner Mohd Amin Firdaus Abdullah made this finding when dismissing an application by Mohamad, better known as Mat Sabu, to declare the case against him as invalid. Mat Sabu’s defence team had filed the application to the High Court on Dec 21 last year to strike out the case on grounds that the court of law was not a suitable forum to discuss historical events. Amin Firdaus found yesterday there were no cases that could be referred to, which stated that issues related to history could not be heard in court. He said the case authorities that the defence team referred to were related to religion and security matters. “The court is not shown that historical issues cannot be heard in court,” he said. The defence team, led by counsel Muhammed Hanipah Maidin, then applied for a stay of execution to file an appeal to the Court of Appeal but Deputy Public Prosecutor Suhaimi Ibrahim objected, saying that the prosecution had the right to proceed with the trial. Amin Firdaus did not grant stay of execution and Mat Sabu’s case was mentioned at the Butterworth Sessions Court later in the day. Mat Sabu is charged under Section 500 of the Penal Code with criminal defamation against policemen and their family members who defended themselves against communist guerillas at the Bukit Kepong police station on Feb 23, 1950. He faces an alternative charge of criminally defaming three policemen – Kons Marin Abu Bakar Daud, Kons Jaafar Hassan and Yusoff Rono – and their families at the same venue on the same day. Sessions Court judge Ikmal Hishan Tajuddin fixed March 26 for mention. Amat jelas Pembangkang seperti Mat Sabu, DAP dan PKR cuba menghidupkan semula sokongan tyerhadap pengganas kominis ini dan sekaligus mem‘francais’ anarki dan pemberontakan antarabangsa. Ini termasuk usaha membawa pulang Chin “Butcher of Malaya” Peng kembali. Namun, jelas majoriti rakyat Malaysia menolak usaha ini. Mereka tidak boleh disifatkan kurang dari sebagai ‘PENDERHAKA’. Pengerusi Lembaga FELDA Tan Sri Isa Samad mengumumkan bahawa penyenaraian FELDA Global Ventures Holdings (FGVH) akan dibuat melalui struktur baru dengan entiti yang baru, dan tidak lagi Koperasi Permodalan FELDA (KPF) sebagai pemegang saham utama, sebagaimana perancangan asal. Ini adalah sebagai kesan injuksi yang diambil lapan ahli KPF untuk menggagalkan EGM KPF yang dijadualkan hari ini. KPF akan terus ujud sebagai koperasi biasa bagi warga FELDA, samada peneroka, keluarga dan warga-kerja FELDA. “Penyenaraian FGVH akan diteruskan. Suruhanjaya Sekuriti dah luluskan penyenaraian FGVH. Cuma KPF tidak lagi menjadi pemain utama. Struktur baru ini akan diluluskan oleh Suruhanjaya Sekuriti”. Dipercayai, usaha usaha mengagalkan penyenaraian FGVH termasuk ‘penentangan tikam belakang’ yang dipercayai didalangi beberapa dalang tertentu diperingkat Lembaga Pengarah (BOD) dan Pengurusan KPF. Beberapa usaha usaha terancang seperti menggugurkan keahlian Isa, Pengarah Urusan FELDA Global Ventures (FGV) Dato’ Sabri Ahmad, Mantan Pengerusi FELDA Tan Sri Dr Yusof Nor dan Mantan Pengarah Urusan FGV Dato’ Seri Mohd. Bakke Salleh, pada mesyuarat BOD KPF pada 28 Oktober 2011. Ini bertentangan arahan Perdana Menteri Dato’ Seri Mohd. Najib Tun Razak, merangkap Menteri Kabinet bertanggung jawab hal FELDA, melalui surat kepada Lembaga FELDA pada 25 Ogos 2011. Beberapa injuksi Mahkamah pernah diambil untuk mereka yang menggagalkan EGM KPF bagi meluluskan cadangan, sebagai proses penyenaraian FGVH. Kali terakhir ialah pada % Januari 2012. Pengerusi KPF sebelum ini Dato’ Dzulkifli A Wahab tidak melepaskan kedudukan beliau walaupun beliau menerima arahan dari Lembaga FELDA. Dalam piagam KPF, jawatan Pengerusi, Setiausaha dan Bendahari KPF ialah atas lantikan Lembaga FELDA. Lembaga FELDA merupakan agensi Kerajaan Persekutuan dan tertakluk kepada dasar dan arahan Jabatan Perdana Menteri. Sebelum ini, KPF dicadangkan untuk menjadi pemegang saham terbesar apabila FGVH disenaraikan Mei ini. “Kepentingan golongan peneroka tidak akan terjejas. Kita akan tentukan kepentingan mereka akan dipertahankan, melalui entiti tertentu. Walaupun penyenaraian FGVH ini tidak lagi melalui menggunakan KPF. Apabila tiba masa, kita akan umumkan”. Personaliti personaliti tertentu dalam BOD dan Pengeurusan KPF dipercayai ‘bersekongkol’ dengan elemen elemen Pembangkang iaitu melalui entiti seperti ANAK, yang diterajui seorang Jawatankuasa Pusat PAS Mazlan Aliman, bagi menggagalkan penyenaraian FGVH. Mereka secara sistematik telah mengadakan pertemuan sulit dalam kumpulan kumpulan kecil diseluruh 317 tanah rancangan FELDA, walaupun pihak Pengurusan FGV berusaha untuk membuatkan penerangan mengenai perancangan FGVH dan kepentingan peneroka tidak akan terabai. Dipercayai satu skim amanah saham baru bagi peneroka FELDA akan diujudkan dan 112,635 peneroka FELDA akan diberikan peluang untuk menjadi pelabur. Difahamkan juga ‘Durian Runtuh’ bagi warga peneroka FELDA sebagaimana yang diumumkan Perdana Menteri pada Ucapan Bajet 2012 pada 7 Oktober 2011. Sekiranya mana mana pihak sebagai ahli KPF dan tidak tergolong dari mereka yang disifatkan sebagai ‘masyarakat peneroka’ seperti warga-kerja FELDA dan KPF jika merasa tidak puas hati kerana tercicir dari peluang memiliki pegangan dalam FGVH selepas disenaraikan nanti, wajar melepaskan kemarahan mereka kepada lapan ahli KPF, BOD dan Pengurusan KPF dan anasir anaisr agen Pembangkang seperti Mazlan dan ANAK. Usaha mengagalkan rencana penyenaraian FELDA Global Ventures Holdings (FGVH) yang dilaksanakan golongan minoriti yang berkepentingan peribadi makin menyerlah. Mesyuarat Khas Perwakilan (EGM) Koperasi Permodalan FELDA (KPF) yang dijadualkan esok untuk meluluskan beberapa resolution telah sekali lagi gagal dilaksanakan. Kali ini, sebuah injuksi interim ex-parte untuk menghalang EGM tesebut telah dikemukakan oleh lima Perwakilan KPF. Mereka didapati terpedaya dengan dakyah ANAK yang diketuai Mazlan Aliman, seorang pemimpin Jawatankuasa Pusat PAS dan juga warga generasi kedua FELDA. KUANTAN 17 Feb. – Lapan anggota Koperasi Permodalan Felda (KPF) hari ini memfailkan permohonan di Mahkamah Tinggi di sini bagi mendapatkan perintah injunksi bagi menghalang koperasi itu daripada membuat sebarang keputusan pada mesyuarat agung luar biasanya (EGM) pada 22 Februari ini. Ini adalah tindakan ketiga yang diambil terhadap KPF selepas Persatuan Anak-anak Peneroka Kebangsaan (Anak) memohon injunksi bagi menghalang EGM KPF diadakan pada akhir tahun lalu dan 22 Februari ini. Peguam Mohd Haris Abdullah yang mewakili kumpulan peneroka berkenaan, ketika ditemui pemberita, berkata permohonan injunksi itu adalah bagi menghalang KPF daripada melupuskan sama ada kesemua atau sebahagian daripada ekuiti KPF dalam Felda Holdings Berhad (FHB) kepada Felda Global Ventures Holdings Berhad (FGVH). Antara alasan permohonan adalah cadangan KPF untuk melupuskan ekuiti miliknya dalam FHB dan anak-anak syarikat yang lain bernilai RM3.13 bilion ke FGVH tidak menguntungkan mereka dan pemegang saham KPF. Sebagai latar belakang, Mazlan mempunyai cita cita politik menentang arus yang nyata. Beliau pernah bertanding dalam PRU 10 Nov 1999 di DUN Senai, PRU 11 April 2004 DUN Semerah (kedua dua di Johor) dan PRU 12 2008 di Parlimen Bera, dibawah tiket PAS. Usaha ini telah gagal dan jelas masyarakat FELDA tidak menerima politik Mazlan ini, yang selama ini jelas tidak menguntungkan masyarakat FELDA. Injunksi yang dikemukakan bukanlah satu yang baru. Kali pertama, EGM KPF hendak diadakan pada Januari 5 lalu, satu injunksi telah dipohon dan letakkan. Namun ianya terbatal secara automatik apabila EGM tersebut ditunda. Ini kali kedua terhadap perkara yang sama. Mengapakah peguam dan Lembaga Pengarah (BOD) KPF tidak bersungguh-sungguh mengenepikan injunksi kali kedua ini? Malah, apa yang jelas nampak seperti tiada persediaan untuk melakukannya pun. Notis Mesyuarat Agung Khas yang bertarikh 10 Februari telah mengatakan pandangan BOD yang membuat keputusan untuk mencadangkan kepada Perwakilan supaya KPF menerima tawaran FELDA untuk membeli saham-saham milik KPF di dalam FELDA Holdings Bhd (FHB) serta 10 anak syarikat milik FHB. Dalam pada itu,cadangan untuk KPF menerima penyenaraian FGVH telah diteliti and dianalisakan oleh Pricewaterhouse. Jika BOD KPF menerima cadangan ini, sudah tentu semua sudut telah diperhalusi oleh penasihat yang dilantik yang terdiri dari bank pelaburan. Ini merangkumi dari perspektif kewangan, maupun perundangan. Jumlah yang dibelanjakan ini merupakan wang peneroka dan amalan biasa gerak- kerja korporat sebegini, akan sedar betapa banyaknya yuran professional ini. Kalau dilihat injunksi interim telah melarang KPF untuk melupuskan pegangannya dalam FHB dan 10 anak syarikatnya kepada FGVH. Bercanggah dengan agenda yang disenaraikan Mesyuarat Agung Khas, FHB serta 10 anak syarikatnya hendak dilupuskan kepada FELDA. Satu yang menghairankan ialah dipercayai peguam mewakili KPF tidak tampil untuk menjelaskan kepada Hakim yang mengeluarkan perintah injuksi dan hujah mengapa EGM KPF yang dijadualkan esok tidak boleh diteruskan. Paling penting ialah mengapakah peguam dan BOD KPF tiada usaha bersungguh-sungguh untuk menolak injunksi ini memandang Lembaga FELDA sudahpun membuat keputusan untuk mengambil bahagian dalam penyenaraian FGVH dan melupuskan asset FELDA? Adakah ini satu sandiwara yang dimainkan oleh individu-individu berkepentingan peribadi untuk ber’sandiwara’ menyokong, tetapi sebenarnya menentang. Difahamkan yang BOD KPF telah bersidang pagi tadi untuk membatalkan EGM kerana injunksi tersebut. Adakah ini dirancangkan diadakan pada saat saat akhir dengan tujuan untuk membatalkan EGM? Satu yang diperhatikan ialah sejurus selepas BOD KPF membuat keputusan mengenai pembatalan EGM besok, berita mengenainya amat pantas tersiar dalam Harakah online. Apakah ada anasir anasir pihak dalaman KPF sebenarnya bersekongkol sebagai agen Pembangkang dan secara langsung, mengkhianati kepentingan strategik majoriti warga peneroka FELDA? Persatuan Anak Peneroka Felda Kebangsaan(ANAK) mengucapkan setinggi kesyukuran ke hadrat Allah SWT ekoran keputusan Lembaga Pengarah Koperasi Permodalan Felda Malaysia Berhad(KPF) yang membatalkan Mesyuarat Agung Khas KPF yang bakal diadakan esok. Sambil mengucapkan tahniah atas keputusan tersebut, ANAK sekali lagi mengulangi desakan agar YAB Perdana Menteri membatalkan hasrat penyenaraian Felda Global Ventures Holding (FGVH) ke Bursa Malaysia. Kehadiran Tan Sri Isa Samad sebagai Pengerusi Felda telah menggugat keharmonian kehidupan 1.6 juta warga Felda dengan pelbagai pendekatan yang merugikan. Tindakannya memberi amaran kepada kakitangan Felda jika menyokong pembangkang, memperalat Jabatan Seranta Felda, ‘berperang dengan Ketua Peneroka Felda Kebangsaan (Shamsudin Othman)’ dan mendalangi usaha penyenaraian FGVH telah menghuru-harakan Felda. ANAK dengan ini mempertegaskan agar Tan Sri Isa Samad meletakkan jawatan sebagai Pengerusi Felda serta merta. Tumpukan perhatian sebagai Adun Bagan Pinang manakala rumahtangga Felda biarlah diserah kepada mereka yang berwibawa kerana terdapat 10 ribu anak-anak Felda yang mempunyai latar belakang pendidikan dan kerjaya yang boleh mengambilalih tempat beliau. Jika beliau enggan, Perdana Menteri wajar memecat beliau segera. Mempertahankan Isa Samad adalah suatu kesilapan besar yang menjauhkan hubungan warga Felda dengan kerajaan. Menolak penyenaraian FGVH bukan bererti kita menolak gagasan mengangkat ekonomi Felda atau ‘mengantarabangsakan’ Felda di peta dunia. Proses penambahbaikan ke atas Felda telah dilakukan. Penstrukturan terhadap Felda Holding, Felda Plantation dan pengukuhan KPF juga sedang dibuat. Pandangan kritis ANAK dalam isu Generasi Baru Felda, penyelenggaran kebun peneroka, Kos Tanam Semula, kecelaruan Kadar Perahan Gred dan lain-lain sedang ditangani oleh Felda meskipun sebahagiannya di bawa ke Mahkamah. Kembalikan ketenangan dan kedamaian di Felda. Tan Sri Isa Samad, Datuk Sabri Ahmad dan Datuk Eshanudin Mohd Noor sila keluar dari Felda. ANAK mahu dikembalikan semula Datuk Zulkefly Abd Wahab dan Abidin Abd Rahman ke jawatan mereka sebagai Pengarah Besar Felda dan Timbalan Pengarah Besar Felda. Moga perkembangan Felda berterusan dan ANAK bertindak sebagai check dan balance bagi mempastikan Felda berada di landasan yang betul sebagaimana diasaskan Allahyarham Tun Abd Razak. Perancangan untuk menyenaraikan FGVH dalam Bursa Malaysia Mei ini dan menggunakan KPF sebagai pemegang saham terbesar dalam IPO syarikat yang berasaskan perladangan bernilai RM 21 billion ini merupakan satu usaha Perdana Menteri Dato’ Seri Mohd. Najib Tun Razak untuk memartabatkan keududukan ekonomi warga peneroka FELDA secara strategik. Potensi FGVH amatlah besar (dianggarkan akan mencapai jualan yang diaggregatkan sebanyak RM 30 billion) dan 112,635 peneroka FELDA melalui pegangan mereka dalam KPF akan menjamin pendapatan mereka akan terus berada dalam kedudukan yang baik. Apa yang berlaku ialah kegagalan penyenaraian FGVH menggunakan KPF bukan sahaja akan menjejaskan 112,635 peneroka FELDA, tetapi 108,00 ahli KPF lain yang terdiri dari warga masyarakat dan kakitangan FELDA. Kalau itu memang perancangan sebenarnya, maka mereka telah mencapai matlamat. Yang gigit jari dan mungkin berputih mata adalah majoriti golongan peneroka dan juga kakitangan FELDA yang mengharapkan pendapatan dari pulangan strategik mereka melalui KPF. Difahamkan besok Pengerusi Lembaga FELDA Tan Sri Isa Samad, merangkap Pengerusi FELDA Global Ventures (FGV), akan mengadakan pertemuan dengan sejumlah besar Perwakilan KPF yang telahpun berada sekitar Kuala Lumpur bagi tujuan EGM sebagaimana yang dirancang untuk esok. Satu sidang media akan dipanggil dimana dijangkakan satu pengumuman penting mengenai program penyenaraian FGVH akan dibuat. Secara rumusannya, penyenaraian FGVH sebagaimana yang dirancang dan persetujui oleh Perdana Menteri Dato’ Seri Mohd. Najib Tun Razak Mei ini akan terus berlaku, walaupun terdapat halangan seperti ‘Musuh Dalam Selimut’ ini. Sekiranya ada pihak yang rasa ‘putih mata’, maka jelas siapa yang mengkhianati mereka. Siapa Pengerusi KPF pada 22 Februari? Mesyuarat Agung Perwakilan Khas (EGM) Koperasi Permodalan FELDA (KPF) akan berlansung pada 22 Februari 2012 ini di Kuala Lumpur. Antara agenda mesyuarat ialah meluluskan cadangan pra-penyenaraian FELDA Global Ventures Holdings (FGVH), yang dijangkakan akan disenaraikan di Bursa Malaysia Mei ini. Sebahagian dari habuan kepada 112,635 orang peneroka FELDA ialah ‘Durian Runtuh’, sebagaimana yang diumumkan oleh Perdana Menteri Dato’ Seri Mohd. Najib Tun Razak dalam ucapan Bajet 2012 7 Oktober 2011. ‘Durian Runtuh’ yang dijanjikan ini difahamkan akan dalam bentuk sumbangan wang tunai dan sebahagian lagi ialah pegangan langsung individu peneroka FELDA dalam FGVH. Sekiranya ianya wang tunai, maka ianya ‘hadiah’ sekali seumur hidup. Mingguan Malaysia hari ini menerbitkan rencana khas mengenai ‘Durian Runtuh’ yang lebih strategik bagi masyarakat peneroka FELDA, iaitu pegangan KPF dalam FGVH. ANAK tangga pertama penyenaraian Felda Global Ventures Holding (FGVH) sekaligus “durian runtuh” yang amat dinantikan peneroka bakal dilalui, Rabu ini. Sebelum warga Felda dapat menikmati ganjaran ‘durian runtuh’ paling istimewa ini – sekali imbas – 1,200 perwakilan ke mesyuarat tahunan khas (EGM) Koperasi Permodalan Felda, Khamis ini harus meluluskan penjualan 51 peratus ekuiti koperasi dalam FELDA Holdings Berhad (FHB) kepada FGVH. Saya sebutkan “sekali imbas” kerana bagi memahami proses ini, hakikat sebenar harus dikupas terlebih dahulu. Asas utama ialah faktor hakmilik. Koperasi Felda yang menjadi koperasi terbesar dalam negara kita, dengan perolehan RM15 bilion dan dividen 15 peratus setahun kepada ahli yang 80 peratus daripadanya adalah warga Felda, tidak menguasai syarikat yang akan disenaraikan – FGVH. Ini berbeza dengan kedudukan Koperasi Felda di dalam Felda Holdings di mana ia menentukan pelantikan pengurusan dan lembaga pengarah anak syarikat Felda Holdings, ganjaran, serta pemberian kontrak. Benar, pegangan 51 peratus Koperasi Felda dalam Felda Holdings akan diganti dengan ekuiti sama dalam FGVH. Namun, seperti penstrukturan korporat lain selepas proses Terbitan Saham Awal (IPO), saham Koperasi Felda dalam FGVH dijangka menguncup kepada 37 peratus. IPO bermaksud adanya peratusan yang diapungkan serta tidak dimiliki pelabur yang menguasai syarikat. Persoalan hakmilik syarikat gergasi seperti Felda Holdings, apatah lagi FGVH yang jauh lebih berpotensi dan milikan aset lebih besar, ketara ia isu yang emotif. Bagi Kerajaan pula, pertimbangan paling utama pastinya kepentingan peneroka Felda – bagi memastikan warga Felda mencapai tahap lebih tinggi dalam perjalanan Felda yang bermula di Lurah Bilut, 54 tahun lalu. Jika dilihat pada struktur syarikat FGVH, ia gergasi global yang mempunyai aset serta keupayaan luar biasa dalam membawa perubahan sekali gus membuat keputusan perniagaan. Penanaman semula contohnya, bakal di selenggarakan dengan lebih meluas dan pantas, sekaligus berupaya menambah dana dan aset syarikat. Tidak seperti Felda Holdings, FGVH dapat meraih hak komersial tanah perladangan milik Kerajaan seluas 350,000 hektar selepas termeterainya perjanjian pajak dengan Kerajaan. Juga entiti yang bakal disenaraikan mempunyai hasil minyak sawit mentah (CPO) berjumlah 3.2 juta metrik tan setahun. FGVH turut menguasai aset dan perniagaan lain, termasuk pegangan terbesar dalam syarikat gula MSM yang tersenarai di Bursa Malaysia. Setakat ini, FGVH memiliki 49 peratus ekuiti di dalam Felda Holdings yang terbabit dalam pelbagai aktiviti antaranya pemprosesan minyak sawit, aktiviti hiliran dan logistik minyak sawit serta getah, koko, IT serta perkhidmatan keselamatan. Entiti yang akan disenaraikan kelak, yakni FGVH menawarkan untuk membeli 51 peratus pegangan dalam Felda Holdings daripada Koperasi Felda. Inilah keputusan yang akan harus dilakukan oleh perwakilan ke EGM Khamis ini. Jawapan “ya” membolehkan penstrukturan semula serta kemungkinan pelupusan aset tidak-kekal tegar Felda Holdings. Apa pula nasib peneroka sekiranya jawapan yang diberi ialah “tidak.’? Apakah Kerajaan akan meneruskan rancangan penyenaraian FGVH sekiranya perwakilan ke EGM Koperasi Felda menolak penjualan saham dalam Felda Holdings kepada FGVH? Tidak menghairankan – berdasarkan fakta yang ada – Kerajaan tetap dengan keputusannya menyenaraikan FGVH walaupun tanpa penyertaan Koperasi Felda. Kekurangan 51 peratus ekuiti Felda Holdings sememangnya bermakna penguasaan saham FGVH lebih rendah, namun ia masih mempunyai kelebihan aset seperti tanah perladangan 350,000 hektar serta hasil minyak sawit mentah. Ini tetap menjadikan FGVH antara 10 syarikat gergasi di Bursa Malaysia. Berdasarkan komitmen Kerajaan dan komitmen Perdana Menteri, Datuk Seri Najib Razak kepada peneroka, perolehan penyenaraian FGVH tetap akan disalurkan kembali kepada peneroka – sama ada Koperasi Felda menyertai proses ini ataupun tidak. Perolehan RM3 ke RM4 bilion ini boleh diuruskan menerusi badan Yayasan ataupun amanah saham. Difahamkan, walaupun FGVH tidak menguasai Felda Holdings, entiti yang bakal disenaraikan ini masih berkebolehan menguasai perniagaan dan syarikat Felda Holdings melalui urusan korporat serta pemberian kontrak tidak langsung. Peneroka tidak akan rugi sekalipun Koperasi Felda enggan bersama proses penyenaraian. Lain pula halnya dengan keupayaan Koperasi Felda mengekalkan dividen dan bonus tahunan pada tahap 15 peratus kepada ahli, memandangkan Felda Holdings adalah penyumbang terbesar pemberian dividen Koperasi Felda – sekitar 50 peratus dengan perwakilan 20 peratus Felda Holdings daripada pelaburan Koperasi Felda. Aset Felda Holdings bakal disalurkan ke FGVH, menyebabkan Felda Holdings tidak lagi mampu mengekalkan kadar pemberian dividen kepada Koperasi. Ini akan memaksa Koperasi bergantung kepada aset lain sekali gus bertindak meningkatkan pelaburan. Tiada kepastian bahawa Koperasi Felda berkebolehan mengekalkan prestasi kewangan sekarang pada era pasca-penyenaraian, sekiranya perwakilan memilih tidak bersama FGVH. Janganlah tersilap langkah, kerana bak kata pepatah, terlajak perahu boleh diundur, tersilap keputusan, buruk kesannya. Fikirkanlah kegemilangan Felda dan masa depan warga dan generasi akan datang. Pelbagai isu akan dibangkitkan dalam EGM KPF ini. Setakat ini, pelbagai ‘halangan’ yang diracun oleh ‘musuh dalam selimut’ telah dibuat untuk mengagalkan penyenaraian FGVH. Ini termasuk mesyuarat Lembaga Pengarah KPF pada 28 Oktober 2011 dan mengugurkan keahlian Pengerusi Lembaga FELDA Tan Sri Isa Samad, Pengarah Urusan FELDA Global Ventures (FGV) Dato’ Sabri Ahmad, Mantan Pengerusi Lembaga FELDA Tan Sri Dr Yusof Nor dan Mantan Pengarah Urusan FGV Dato’ Seri Mohd. Bakke Salleh. Ahli Lembaga Pengarah BOD KPF juga meneruskan penentangan dari pelbagai sudut, sehingga menjadi ‘duri dalam daging’. Setakat ini, KPF juga telah melantik konsultan untuk memberikan ‘nasihat’ mengenai cadangan penyenaraian FGVH, termasuk kedudukan KPF yang dicadangkan oleh Perdana Menteri sebagai pemegang saham terbesar pasca penyenaraian. Persoalan sekarang ini yang bermain dalam minda ramai pemerhati ialah siapa yang akan mempengerusikan EGM KPF pada Rabu 22 Feb ini. Ini kerana setelah penguguran Isa dan tiga orang lain dalam mesyuarat BOD KPF pada 28 Oktober itu, beliau secara automatiknya tidak menjadi Pengerusi KPF. Walaupun pengguguran itu bertentangan dengan prosedur dan setelah berlangsung tribunal khas oleh Suruhanjaya Koperasi Malaysia (SKM) dan keputusan telah membatalkan pengguguran tersebut, namun perlantikan Tan Sri Isa sebagai Pengerusi KPF masih belum jelas. Walaupun semua syarat dan prosedur telah dipenuhi dan SKM mahu mengembalikan kedudukan sediakala (status quo), namun difahamkan setakat Jumaat 17 Feb pihak KPF masih lagi memberikan alasan “Mahukan peguam KPF meneliti semua dokumen mengenai perlantikan ini”. Ini jelas bertentangan dengan keputusan Perdana Menteri melalui Setiusaha Sulit Kanan PM kepada Lembaga FELDA dalam surat bertarikh 25 Ogos 2011. Untuk rekod, Perdana Menteri telah melantik Isa kejawatan Pengerusi Lembaga FELDA dan Pengerusi FGV. Ingin dinyatakan disini bahawa piagam KPF telah mensyaratkan bahawa perlantikan Pengerusi, Setiusaha dan Bendahari KPF diputuskan oleh Lembaga FELDA dan bukan Perwakilan. Sekiranya 1,200 Perwakilan yang terdiri dari 900 peneroka FELDA (mewakili 112,635 peneroka FELDA) dan 300 kakitangan Lembaga FELDA dan KPF (mewakili 5,000 warga kerja FELDA) membuat keputusan diluar perencanaan Perdana Menteri, maka ianya mungkin akan dilihat sebagai tidak ‘menuriti arus’. Maka kemungkinan besar keputusan akhir mengenai penyenaraian FGVH akan berubah dan tidak lagi memihak kepada peneroka FELDA melalui KPF. Amat malang sekiranya keputusan EGM KPF merupakan jalan yang sebenarnya secara tersembunyi memihak kepada segelintir mereka yang berkepentingan peribadi dan mengorbankan kepentingan strategik majoriti warga peneroka FELDA. 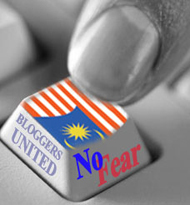 Today, is the fifth anniversary this blog came into the Malaysian socio-political bloggosphere. We have posted 1,600 articles since and over 30,000 comments expressed in over 4.3 million visits recorded. The most visits and comments recorded were for posting of Malaysia Today’s Editor Raja Petra Kamaruddin’ s imfamous statutory declaration and the incident at Red Rock Hotel in Penang. We wish to express our utmost sincere gratitude and appreciation for the support and opinions translated in the comments posted. Since the flavour of the week here in BigDogDotCom is centered on the remembrance of the fallen gallant 1 and 2 Federated Malay States Regiment warriors in the defense Pasir Panjang and Bukit Chandu, we would like to dedicated this fifth anniversary to the men who fought their last stand at ‘Point 226’ or Bukit Chandu on 14 February 1942. By far, in the 78 years history of Royal Malay Regiment this battle cost the most lives. We were at Bukit Chandu Memorial along Pasir Panjang Road, Singapore on Tuesday 14 Feb 2012, to attend a simple ceremony commemorating the fallen gallant warriors of 1 and 2 Federated Malay States Regt in the defense of Pasir Panjang Ridge and Bukit Chandu exactly 70 years earlier. The focal pointof the memorial is on 2nd Lt Adnan Saidi, who had demonstrated exemplary leadership and outstanding courage in the battle. Lt Adnan, amongst 65 other men of 1 Malay, lost their lives on that brutal and bloody afternoon on that hill, known as ‘Point 226’. Never in the history of Malaysian Armed Forces, they lost so many men in one single battle. Minister of Defense Dato’ Seri Ahmad Zahid Hamidi made time in his busy schedule attending the Singapore Airshow 2012 to visit the memorial, along with Deputy Defence Minister Dato’ Dr Abdul Latif Ahmad and Chief of Defence Forces Jen Tan Sri Zulkifli Mohd. Zin. It was the first time a Malaysian Cabinet minister paid homage to the fallen heroes, to remember their sacrifice on the remembrance day. 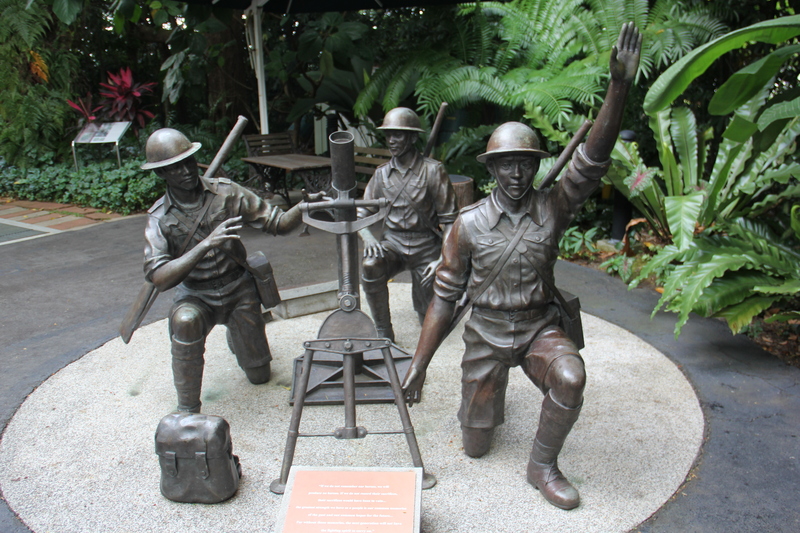 The Bukit Chandu Memorial, was was incorporated by the Singapore Government archives and is now under National Heritage Board of Singapore did extensive research, collated and collected a lot materials and artifacts from the battle of Pasir Panjang and Bukit Chandu. 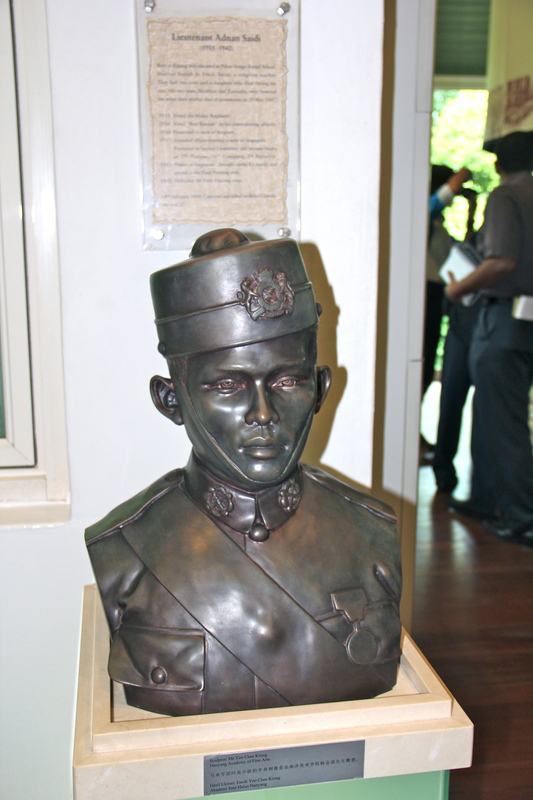 The remaining members of 1 and 2 Federated Malay States Regt was ordered to defend Bukit Chandu or ‘Point 226’. 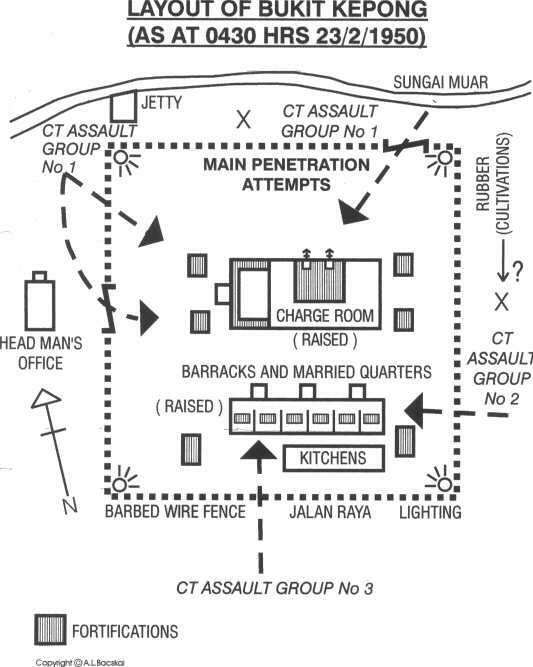 A centre piece is about 2nd Lt. Adnan Saidi and how he performed in battle and demonstrated outstanding courage and bravery, to the details on how he did close-quarters hand-to-hand combat when all the ammos ran out. 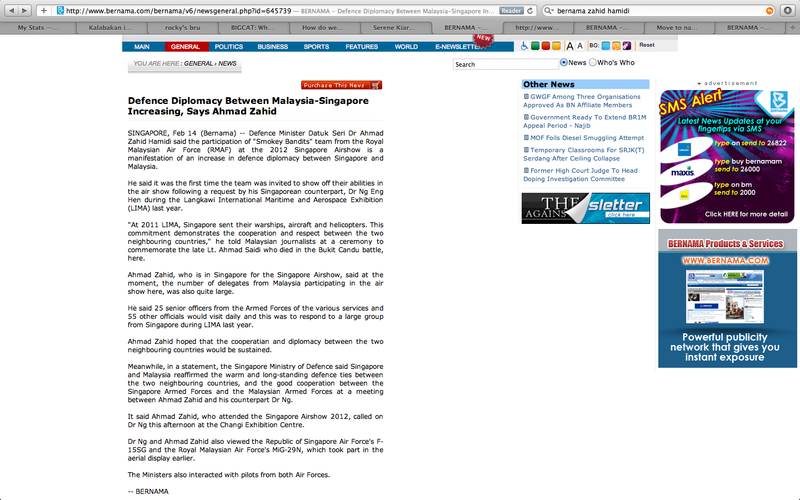 Bernama reported the fallen hero as “Ahmad Saidi”. How does the Minister of Information, Communication and Culture Dato’ Seri Dr Rais Yahim Ph.D who is in charge of museums and antiquities, arts and culture and also the official Federal Government mouthpiece expect the younger and larger Malaysian populi to understand history when people under his own watch even fail at this?